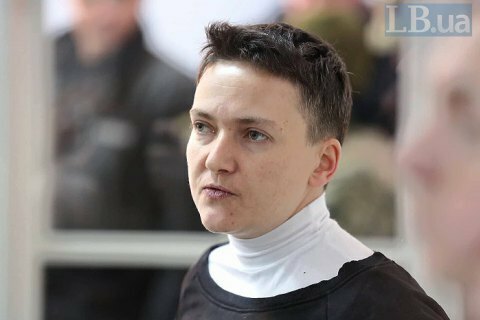 Kyiv's Shevchenkivskyy district court has extended until 30 October the term of MP Nadiya Savchenko's detention. Thus the court upheld the prosecutor's request. It refused to release Savchenko on bail. Savchenko and her lawyers are studying the files of the so-called "Savchenko-Ruban case." On 1 August, the Prosecutor General's Office reported that law enforcers had completed an investigation into the case of Volodymyr Ruban, the head of the Officers Corps prisoner release centre, and Nadiya Savchenko, who is suspected of plotting to violently change or overthrow the constitutional order or seize state power.